I was embarrassed to say that I had gotten lazy and stopped using my Clarisonic brush. No wonder my 50 plus face was full of dead skin cells. Plus, it appeared that my cleanser was much too drying. Coupled with the indoor heat and outdoor freeze, I felt like a 50 plus face faux pas. D exfoliated with a moisture-rich masque and then put on Skinceuticals C E Ferulic Serum. This product is expensive, but D says it is the best when it comes to antioxidants for the face. D says that a few drops of this formula will prevent dark spots and aging. “Always wear a sunscreen in the winter and the summer,” says D. She recommends the tinted Skinceuticals Physical Fusion UV Defense Sunscreen. Since having my winter facial, I’ve been better about exfoliating everyday either with my Clairsonic brush or my washcloth. I’ve been using ReVive cleanser that I received as a sample from the Blue Mercury shop – it’s very gentle. The nice PR people sent me HTY GOLD skin care samples to try. I’ve also been using some skin care products that I received from HTY GOLD. I like the serum. It contains Soy-Rice peptide and other powerful antioxidants. It does perk up my eyes a bit – however, if I would have less menopausal moments during the night hours my dark circles would be even brighter. 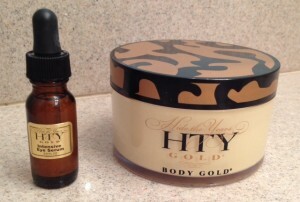 The nice PR person also sent along HTY GOLD Body Gold Skin Cream. It comes in a big tub and looks and feels like whipped butter when I smooth it over my legs and arms. It’s quite expensive skin cream, so I hope it does the trick. According to the brochure “you are never too young to hide the years.” (I’ll second that.) The cream is supposed to “prevent & conquer dry, wrinkled, crepe-paper skin!” The luxurious cream is packed full of nutrients and vitamins. So, how are you keeping your face fully hydrated during the cold winter months? 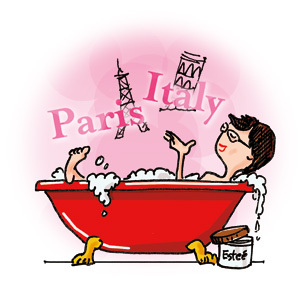 Are you remembering to exfoliate? Ah yes, and I forgot to add to remember to drink lots of water. More water please – so important for healthy skin and healthy bodies. Help me keep my chin up and my face and neck forever wrinkle-free. Please share your skin care secrets. I’ve been hearing a lot about Skinceuticals, lately. So many products, though, it’s confusing! Carol, you can purchase Skinceuticals on Amazon for a lower cost. The CE Serum is supposed to be the best. This sounds lke a great product. I’m nearly out of my regular moisturizer so it would be a good time for me to try it. Helene, you should try it. Check out the prices on Amazon. I am always looking for a long term skin care relationship. This sounds good. Haralee, thanks for your note. Glad the information was helpful. In fact, I meant to mention that Martha Steward uses SkinCeuticals as part of her skin care regimen. 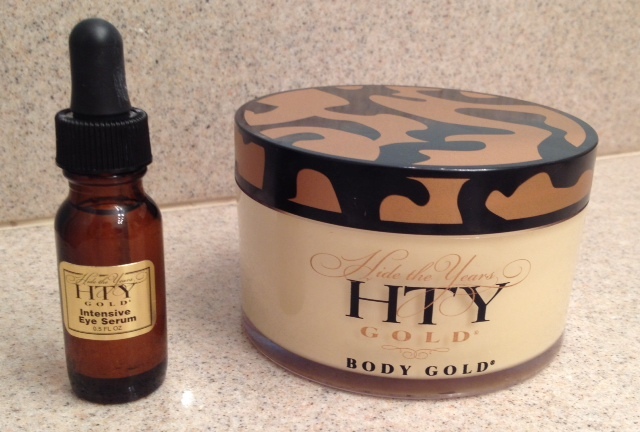 Hi Judi, I just recently subscribed to your blog and as a 50+ woman I find it so refreshing, I too am a skincare fanatic and use the HTY Gold eye & face serums as well as the eye cream and Night Gold… it is truly liquid gold in a jar!!! For my AM routine I use the Michael Todd Organics Anti-Age Regime…. Heavenly. Another little beauty trick I stumbled upon is the Purely Cosmetics Diamond Dust Finishing Powder, dust this over your makeup and it literally gives you a beautiful, flawless, airbrushed finish and dramatically blurs fine lines, pores and wrinkles…. after all, Diamonds are a Girl’s Best Friend!!! 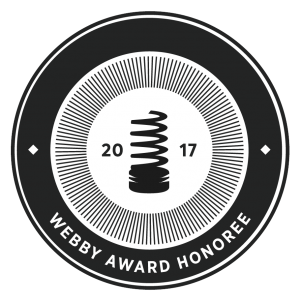 Thanks again for the post and keep up the great work! 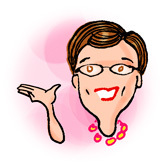 Nathalie, thanks for your kind words and welcome to my blogging community. My readers mean the world to me and I love to hear from them. I do agree that the HTY Gold Eye Serum is rather nice. It is a good base for moisturizers. I’ll have to try the other products you mentioned. Always more skincare products to try and more coming out on the market every day. Hey Judi, I’m right behind the 50+ crowd at 44. I’ll gladly accept any tips for learning how to age gracefully without getting old. I’ve just found your blog through Allison over at Never Say Die and you’ll see me around often as I’m really enjoying it! 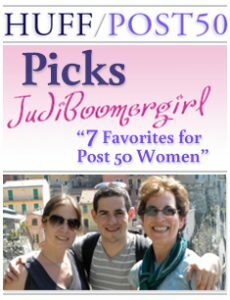 It’s nice to find some other adult bloggers that share some of the same issues. I wish I found a magic elixir for skin this time of year. I am swimming in exfoliators, masks, moisturizers and serums. However, am still struggling. Great post dear! 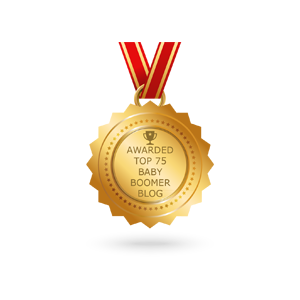 Shalunya, thanks for joining my blogging community. Don’t worry about aging. Life after 50 is great.